This is how Giorgio Fidenato, Italian farmer and President of Agricoltori Federati (Federated Farmers), explained to IPS the reason behind his fight against the Italian ban on Monsanto’s genetically modified MON810 maize. The Monsanto maize is the only GMO allowed for cultivation throughout the European Union, and the directive that regulates the deliberate release into the environment of GMOs, Directive 2001/18/EC, includes a ‘safeguard clause’ that allows member states to prohibit such cultivation, provided that they “have justifiable reasons to consider that the GMO in question poses a risk to human health or the environment”. So far, 129.000 hectares of land – roughly the area covered by a city the size of Rome – are being cultivated with genetically modified corn in Europe, 90 percent of which is in Spain, while the rest is spread across Portugal, the Czech Republic, Slovakia and Romania. “On the other hand,” said Croce, “Italy used an emergency-measure procedure that bans them only temporarily.” The inter-ministerial decree banning GMO maize has a validity of 18 months. 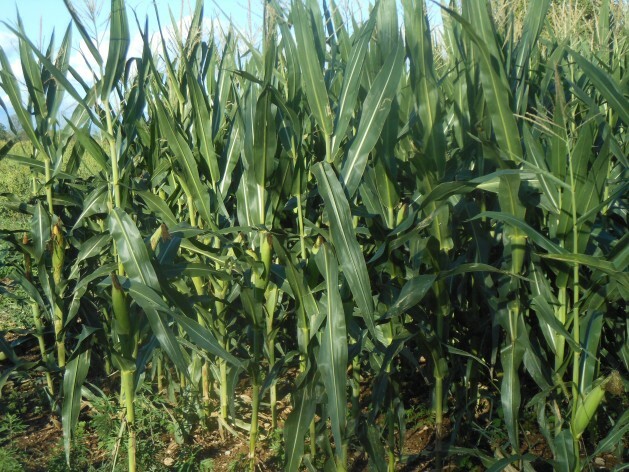 “If nothing happens in the meantime, at the end of 2014, Fidenato will be free to grow Monsanto’s genetically modified maize,” Croce explained. But not all agriculturists see farming the way Fidenato sees it. Lucca, in Tuscany, is the Italian province with the highest concentration of biodynamic farms. Like the majority of those, Gabriele Da Prato’s ranch farm in the mountain region of Garfagnana, north of Lucca, produces wine. For him, his choices – and the choices of the farmers around him – will determine the future of the territory where he grew up. His farm covers three and half hectares and he is the only ‘employee’, producing around 14,000 bottles of wine each year. “I decided to take over the family farm in 1998, in the years of heavy chemicals, also in subsistence farming,” Da Prato told IPS. It was then that he took a radical decision and began to apply biodynamic methods, using uniquely natural substances, such as mineral, plant, or animal manure extracts to enhance soil quality. For him, opening the doors to GMOs in Italy is simply nonsense: “First of all, Italy’s surface area isn’t big enough to compete with giants such as North America in the field of GMOs. High quality, inimitable products and our territorial identity, these are our trump cards,” Da Prato stressed. But beyond the economic factor, threats to the ecosystem seem to be his biggest concern. “On a field sown with GMOs, the water simply slips away. My plot, which is healthy and lively, can hold up to 90 percent of water. Last year we had a big flood, and I can thank my biodynamic vineyard if my house is still intact,” Da Prato said. “Once we are done exploiting our territory to fill up the wallet, and the earth won’t be able to give us food any longer, then maybe people will start asking themselves what happened,” he concluded sadly. The EU High Court of Justice struck down the ban on GE crops for lack of evidence of harm to humans or the environment. The EFSA also rejected the Italian position as not supported by science. Fidenato is a short-sighted myopic selfish idiot. The reality is that just because science has not yet been able to prove that GMOs are harmful, does not mean that they are not harmful. It simply has not been proven yet, the key word being yet. We don’t have enough information on this yet, to decide either way. Food and the Earth’s ecosystem are too important to play genetic games with. Natural food has been grown for thousands of years and it’s had no adverse affects. It only started having adverse affects when we started adding man-made, artificial components to the equation on a massive, agro-industrial scale driven by profits and short-sighted thinking, precisely that which is also behind GMO initiatives. Please tell us what tests not already done you would like to see added to the evaluation process of GE crops and why? The EFSA is famous (based on evidence) to reject science that does not support her views. To be more clear: Efsa decides what is scientific and what is not. Please bring forward your evidence for such a damning accusation. My father strewed DDT over everything when we were growing up, it was the new wonder to save the world and our food. We also used benzene to clean our school uniforms, bare-handed, because there was no science to say it was unsafe. Now 3 out of a family of 5 have terminal cancer, each one a different cancer. My sister was prescribed something like benadryl (?) during pregnancy but she declined. Later many deformed babies were born to women who had taken it, and it was banned. When we are talking about the huge change that gmo’s bring, I want my lawmakers to protect me and take things slowly. Tests over more than one generation need to be done, but there3 are no set standards set for gmo’s as yet, and much of the problem is the industry obstructing independent research. RobertWager’s aggressive request to “prove it” means that he is too lazy to go and research the issue himself, objectively and in science literature as well as the internet. In addition to problems evaluating it without standards and a large body of independent research, there are many studies and reports of its negative economic model, and it’s predatory marketing, no to mention the rights of non-gmo farmers infected with gmo carryover, — it goes on and on – a big issue. 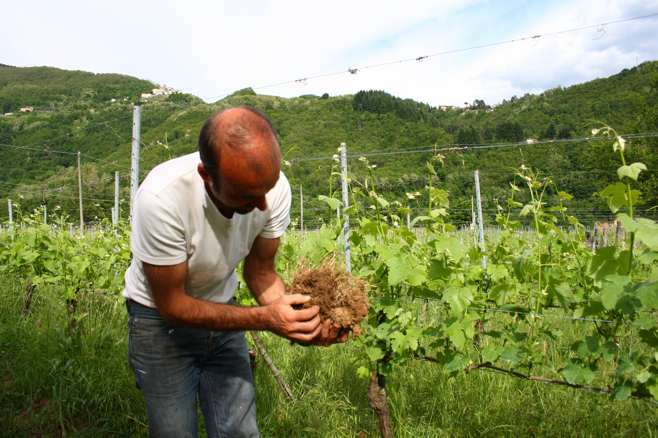 However the wine grower is right, Italy is too small an area for other farmers not to be affected by gmo contamination.